This depot is a strategic partnership between Coultons Bread Ltd and Allied Bakeries, whose brands include Kingsmill, Burgen, Allinson, and Sunblest. Howard Hunter, managing director of Coultons Bread Ltd: “This is an exciting time for us all at Coultons Bread as we look to grow our bakery third party logistics services. Allied Bakeries is one of three divisions of Allied Milling and Baking, which in turn is part of Associated British Foods plc. Sam Rush Derby County FC and Robert Higginson Chairman of Roberts Bakery. Roberts Bakery has signed an advertising deal with Derby County Football Club. The bakery has signed a one-year contract to advertise its brand on the club’s pitch and stadium, along with a programme of fan and community engagement. The deal launched on 5 March, during Derby’s league game against Huddersfield. Robert Higginson, chairman of Roberts Bakery, said: “Derby shares so many of our values – they are a family-friendly club that places emphasis on future generations, health and wellbeing. Allied Bakeries reviews 23 jobs in streamlining operation. A major restructure at Allied Bakeries will see 23 management and admin roles go under review, including its category director position. British Baker understands that the role of Martin Garlick, head of category and shopper, is one of those under consultation. Garlick has been with the company since 2013, and joined from Warburtons. At Allied, he has been responsible for the development and delivery of the Burgen Gluten Free bread launch. The bakery giant, which owns brands such as Kingsmill and Burgen, said it would be reviewing roles at its Maidenhead and Liverpool offices, and it is anticipated that 23 roles will be impacted in total. The company said this would make it more efficient as an organisation, as it aimed to remove cost and share activities more effectively across fewer roles. This follows the appointment of a new managing director, Jon Jenkins, in May earlier this year. A spokesperson from Allied Bakeries would not comment on the head of category and shopper role, but said: “We are currently consulting with our employees about the proposal. Every effort, including professional outplacement support, will be made to secure alternative employment either within Allied Bakeries, the broader ABF group or externally in their local area. The company has seen a torrid time recently, with the delisting of its sliced bread lines in Tesco. The bakery has since been increasing its volumes and is rebuilding Kingsmill’s presence in Tesco after the supermarket relisted two lines, although it said its margins remained under pressure. Associated British Foods (ABF) has revealed that Kingsmill owner Allied Bakeries is increasing its volumes in its trading statement for the 40 weeks ended 20 June 2015. 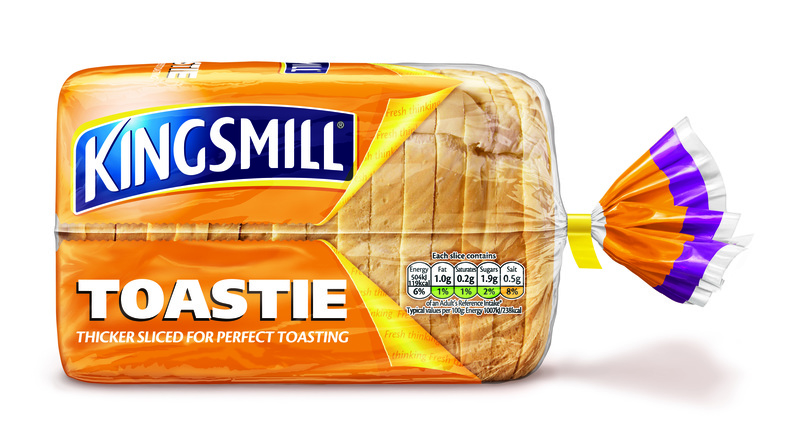 Kingsmill is “rebuilding its presence” in Tesco after the retailer restocked two lines following its mass delisting of Kingsmill sliced in May. However, ABF said that margins remained “under pressure”. The group’s performance of its grocery business remains on track and it has also seen profit recovery in its ingredients and agriculture arms, retaining the “strong momentum of last year”. The sugar crop is expected to be around 1m tonnes (mt), down from 1.45mt last year, which will lead to a fall in ABF’s quota stock levels. This is reducing across the EU with further reduction expected next year. However, EU sugar prices have shown some signs of recovery, according to the European Commission. Overall, group revenue for the period was 2% ahead of the same period last year at constant currency, and was level at actual exchange rates.